Looking to maximize the return on your retirement savings? Who isn’t? After all, in the current economic environment, every penny counts. And when it comes to your Roth IRA/TFSA, it’s essential to squeeze every penny of value from your account because any withdrawals in your retirement years are tax-free. To illustrate just how important it is to scrutinize every penny, imagine earning an extra 0.5% annually on your retirement savings. Not much, right? But over a 40 year period, that tiny half percent leaves you with 22% more in retirement. On a million dollar portfolio, that’s $220,000! You wouldn’t mind an extra $220,000, right? If not, here are five ways to get the most bang for your buck so you can supercharge your TFSA/Roth IRA returns. It may sound obvious, but the best way to grow your retirement savings over time is to make sure you make the maximum possible contribution year after year. Surprisingly, many people who should know better still fail to do so. They ultimately pay the price later through delayed retirement and/or a lower standard of living once they do retire. For example, let’s say you only contribute $4,000 per year for 40 years instead of $5,000. At an 8% annual return, your annual $4,000 contribution adds up to $1,036,226.07 versus $1,295,282.59 if you had contributed $5,000 per year. That’s a $259,056.52 difference! 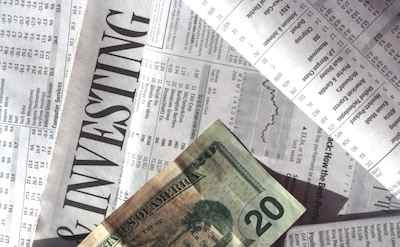 If you buy and sell investments within your Roth IRA on a regular basis, you most likely ring up charges for each transaction. For instance, an online discount broker might charge you $7 each time you buy or sell a stock. This may not seem like much, especially when you consider that in years past these charges were approximately $30 or more. But is $7 really an “insignificant” amount? Not when it comes to your Roth IRA. After all, let’s say your maximum annual contribution is $5,000. $7 represents 0.15% of your annual contribution dollars, so executing 20 buy/sell orders per year costs you 3% of your annual contribution – or $140. $140 compounded at 10% annually for 40 years is $6,336.30 – not an insignificant sum. So if you trade frequently within your Roth IRA/TFSA, make sure you’re generating an increased return that exceeds what you’re otherwise losing in trading fees. If you use your Roth IRA to invest in mutual funds, index funds, or exchange traded funds (ETFs), then one way to supercharge your returns is to make sure your funds have the lowest possible expense ratio. Some managed funds charge you as much as 1.5% annually – and that’s 1.5% of your principal balance, not your capital gains! 1.5% per year is a steep price to pay for a managed fund, especially when you consider that approximately 70% of managed funds fail to keep pace with the market indices. If you go with an index fund that tracks the market average, the financial institution running the fund has to spend a lot less money on talented managers and research teams, since all they’re trying to do is mimic a market index like the S&P 500. The result is a much lower expense ratio. For instance, the Vanguard Total Market Index (VTI) fund tracks the entire stock market and sports an expense ratio of only 0.07%. That’s an annual difference of 1.43% compared to our managed fund example. In case you don’t think that’s a big deal, let’s look at the numbers. If you invest $1,000 dollars per year over 40 years at 10%, you end up with $295,682.54 if you have a 1.5% expense ratio, while you end up with $434,253.61 if you have a 0.07% expense ratio. That’s a $138,571.07 difference! The best discount broker provide more than just low commissions, they allow you to automatically reinvest your dividends and make regular dollar cost averaging contributions free of charge. This can save you a lot of money over time. For instance, let’s say you open a Roth IRA/TFSA, and your maximum annual contribution is $5,000. You plan to contribute the maximum amount and invest it in SPY – an ETF that tracks the S&P 500. To do so, you decide to save $416.67 from each month’s paycheck for a grand total of $5,000 at the end of 12 months. A good broker will let you invest the $416.67 at regular intervals each month without charging you for each transaction. For instance, some brokers offer free trading of mutual funds with certain restrictions, such as you’re only allowed to make 3 transactions per month. Good brokers also let you reinvest your dividends free-of-charge to purchase fractional shares of the index funds or stocks you’re invested in. And as we’ve already seen, reducing your transaction costs – either through discount trading commissions or free dividend reinvestment – adds up to a lot of money over the course of 30 or 40 years. Another way to supercharge your Roth IRA/TFSA returns is to convert an old 401k or Traditional IRA (RRSP in Canada). This is for several reasons. First, assuming you pay the conversion taxes out of pocket (rather than from the proceeds of the conversion), you end up having the same number of dollars in your Roth IRA as you had in your 401k/Traditional IRA or RRSP. However, the dollars in your Roth IRA won’t be subject to taxation when you withdraw them in retirement, while your 401k or Traditional IRA withdrawals will be. Finally, if you convert funds from a 401k or Traditional IRA to your Roth IRA, you can enjoy the tax benefits of a retirement savings plan for much longer. Why? Because the IRS requires you to start making annual minimum withdrawals from your 401k or Traditional IRA at age 70 ½, regardless of whether or not you need the funds. But the IRS doesn’t impose this arbitrary limit when it comes to your Roth IRA, so if you don’t need your money until age 80, it continues to grow tax-free until you need it. Britt Gillette is the author of Your Roth IRA, a website entirely dedicated to helping others manage and understand their Roth IRA retirement accounts. This is a great post. Thanks for pointing out the trading cost! People don’t usually look at how things build up over time. @Youngthrifty, thanks! People a lot of times don’t realize where $25/week can get them.